Our contemporary range of garden accessories will completely transform your patio or garden, ensuring you can relax and entertain at your own leisure. An addition to any garden. H:100 x W:120 x D:45 cm. Grey pig single seat garden ornament. H:30 x W:40 x D:40 cm. Set of 2 grey foo dogs. These 2 resin Chinese Foo Dog Statues are beautiful and elegant works of art. An attractive metal standing pig. Sign - Please remove your shoes. The vintage garden set of five tin buckets. In a light brown/cream finish. Resin black Dachshund dog bench. Pig single seat garden ornament. Suit of armour - large. Cannon A55 old copper - medium. A beautiful detailed cast iron ornamental cannon. (Very heavy). 15m Half Inch Reinforced 3 layer braided garden hosepipe. 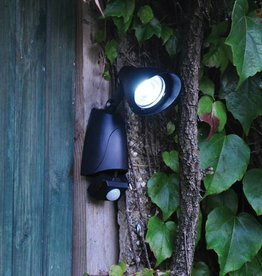 Solar powered 9 LED security light with PIR. Bright white LEDs adjusts to desired position, remote charging panel. Suit of armour - medium. Stone effect polyresin clock with thermometer and humidity meter.